Westin. For A Better You! Situated in the diplomatic and commercial district 10 minutes from the airport, this hotel offers the most spacious guest rooms in Dhaka. Give in to Westin Heavenly Bed in each of our 235 contemporary guestrooms and suites. Open air poolside cabana bar Splash offers a relaxing evening . Savor the flavors of Italy at Prego. Seasonal Tastes offers an extensive Bangladeshi, Indian and International buffet and a la carte dining all day. Energize with our 24-hour WestinWORKOUT fitness center. 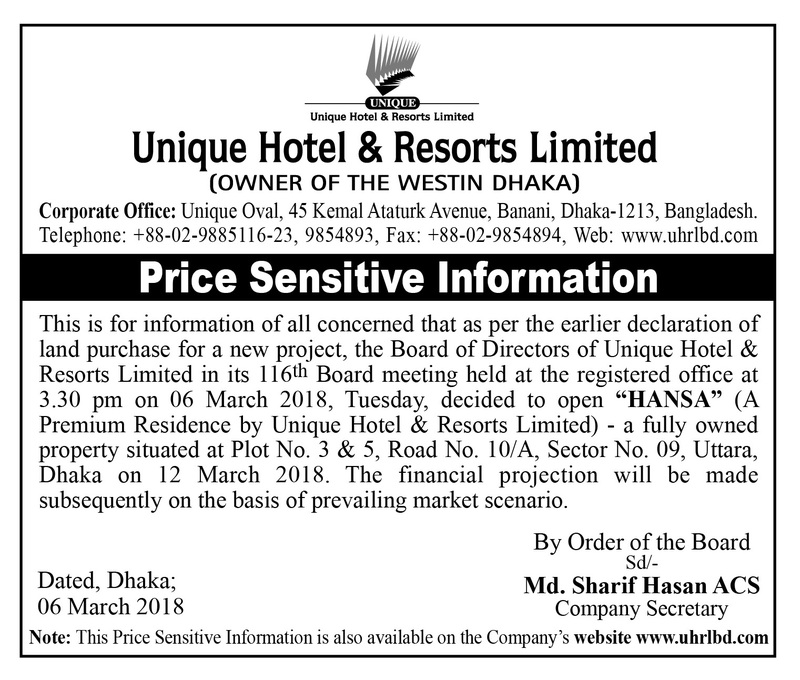 Unique Hotel & Resorts Limited is the leading Hotel & Hospitality Management Company which is the owner of “The Westin Dhaka” and the pioneer of Five Star hotel in the private sector of Bangladesh. It started its commercial operation from 1st July 2007. 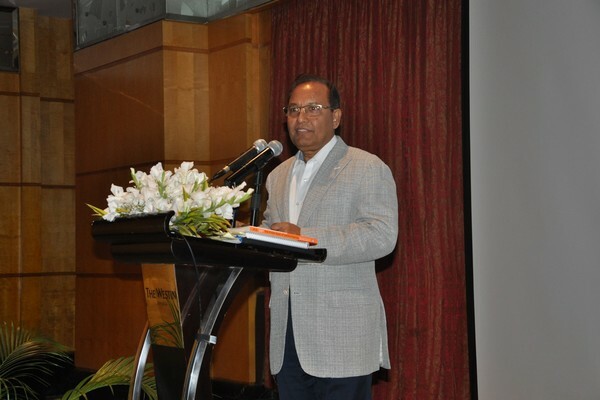 Since then it has been maintaining consistent growth with innovation & valued services and has become the number one in Bangladesh as well south Asia region. The business activities connected with the hotel business are carried out through a Management Contract executed on 17th December 1999 between Unique Hotel & Resorts Ltd (“the Owning Company”) and Westin Asia Management Co. (“the Operator”), a wholly-owned subsidiary of Starwood Hotels & Resorts Worldwide, Inc. now Marriott International. 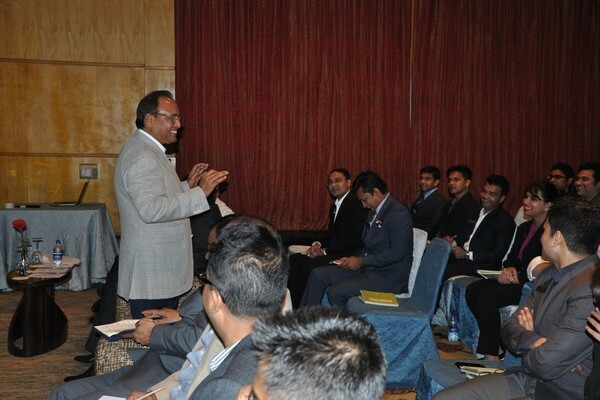 The Operator is knowledgeable and experienced in managing and promoting five star hotels and resorts and has (and/or its Affiliates have) been performing such services throughout the globe since long. Another 4 Star standard serviced apartment HANSA by Unique Hotel & Resorts Ltd. is at Uttara. 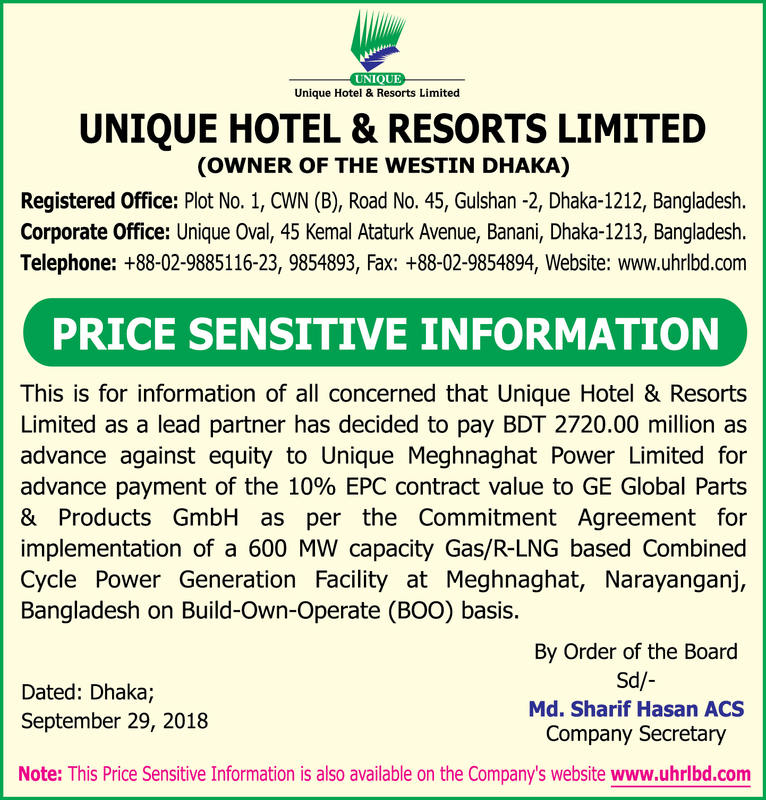 We have already signed an agreement with Starwood Asia Pacific Hotels & Resorts Limited now Marriott International for The Sheraton Dhaka Banani. We are hopeful to inaugurate the hotel within the first quarter of the year 2019. 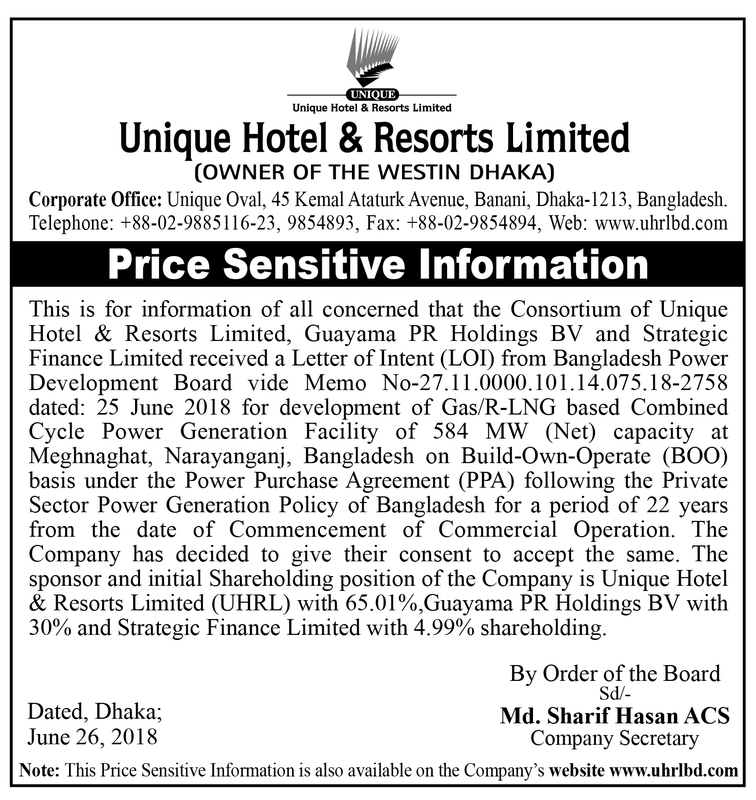 The company has plan to set-up more hotels of 7-star and 5-star standard in Dhaka and other major cities of the country. 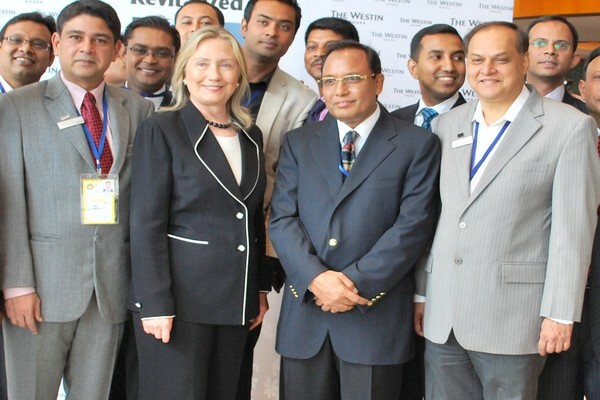 Hillary Clinton meets our honorable MD Sir.